Wow! 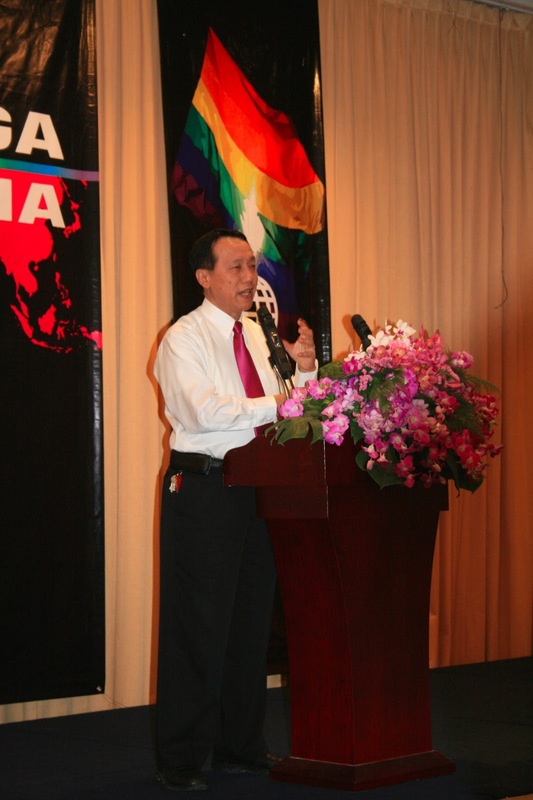 I feel wonderful witnessing the phoenix rising at the 5th ILGA Asia conference opening ceremony. As Renato Sabbadini, Co-Secretary General of ILGA World has said: "...the phoenix is not rising but is already rose up to the sky..." Over optimist? Nope! For me who did witnessed how the last unfolded conference in Surabaya three years ago, I surely see that this conference is wonderful! Is colorful like a phoenix, is colorful like a rainbow! Congratulation to all of you for the successful opening and I believe the rest of the conference will be run smoothly. I have some photos to make this blog even colorful. Enjoy! The stage is colorful. 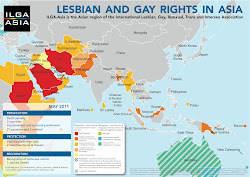 I like the rainbow flag and the ILGA Asia flag. Dr, Taejing, NHRC of Thailand speech surely added more color of understanding of the existence of LGBT. Enthusiastic participants; they came from not only Asia, but also from North America, South America, Africa, and Europe. Hi I think eduaction is a rather long learning proccess and we thank u for being my inspiration.